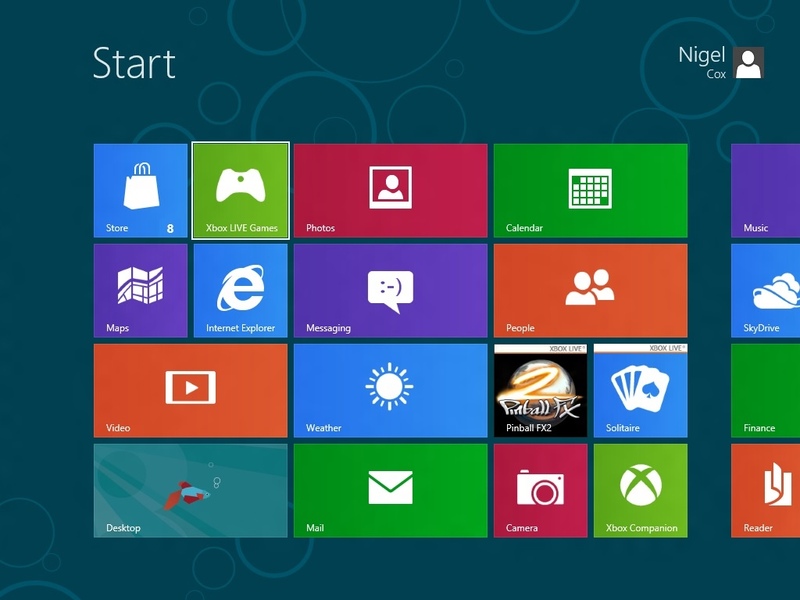 Last time we installed Windows 8 and got to the first start up screen. 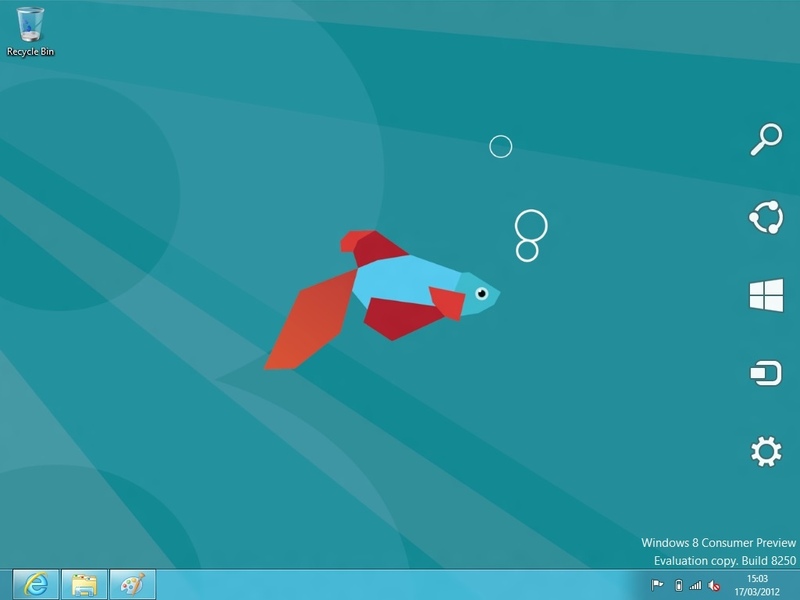 Now we need to take a closer look and see what’s different from Windows 7. Ok, so we have a nice tree and a clock. How do we do anything? I think this whole operating system is based around touch and gestures, which is a conceit of epic proportions by Microsoft in my opinion. The laptop and desktop environment are still predominantly touch free. Apparently they have worked hard since the earlier “alpha” releases on providing much improved interaction for touch-less systems. I dread to think how bad those early phases were then. What’s required here is a mouse action of clicking the bottom of the screen, holding and “swiping” the mouse upwards. ridiculously awkward and invariably takes several attempts. Put a button there! You couls also hit the [ESC] key but – escape to gain access to the operating system? Once we’ve managed to sign in we get the huge obvious change from all previous versions of Windows, the tiled Metro interface. 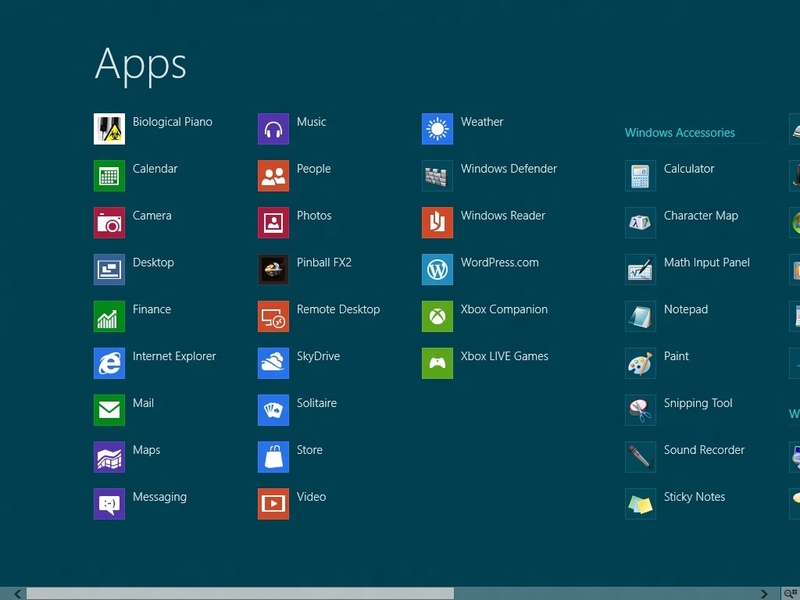 Here you can see your Metro aware applications, some system options and hidden away there is the Windows Explorer. The interface is very gesture orientated but you can get around with a mouse. Just. Click, hold and drag performs gestures so to look at stuff on the right you click and drag to the left. Sometimes just moving the mouse to an edge works too. It all feels a little flakey at the moment. The tiles can be resized (slightly), rearranged, added, removed etc. as you see fit. You can get a list of all applications by right clicking a blank space. An “All Apps” option then appears for this along the bottom. click this and a whole new array of icons appears. From this interface you can add applications or accessories to the Metro interface. 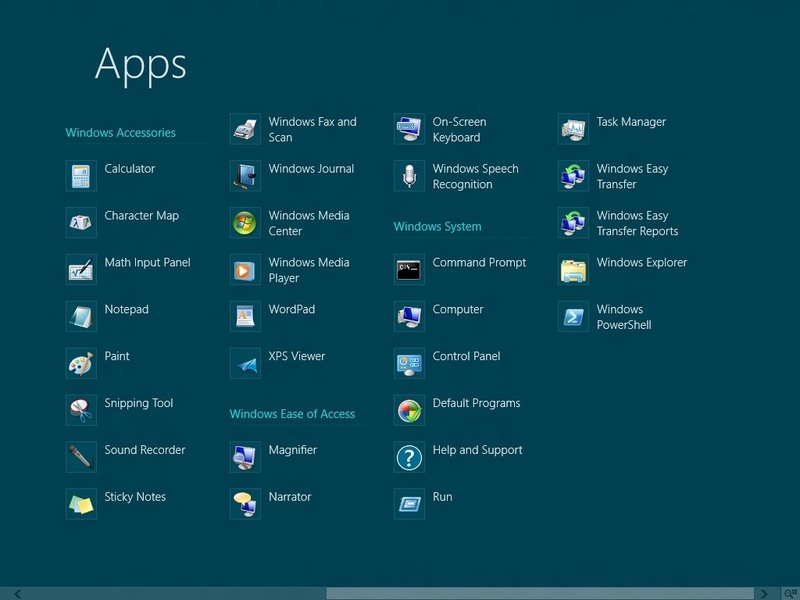 All the normal Windows accessories are included in Windows 8. As Microsoft have assumed a “Social” tint to the Metro interface (and limited it to Metro aware apps) you have to use this option to start apps like Paint. What Metro does do is make the applications feel separate, disconnected from the underlying operating system. However, it makes getting to some common tasks awkward and is hooked directly to the “Windows” button from anywhere in the system. The reason for this is apparent when we look at another feature later. 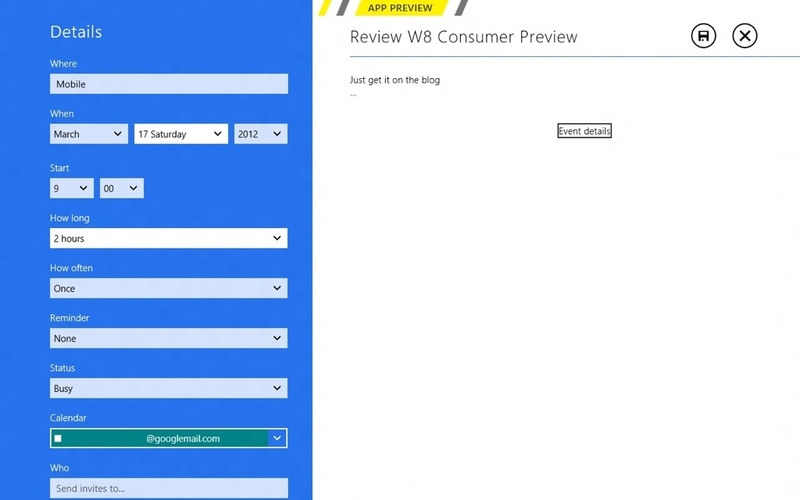 One new feature that is prominent in the Consumer Preview is the Windows Store. This is exactly like the App Store in Apple iTunes and similar incarnations for Windows 7 Mobile, RIM Blackberry and Google Android. 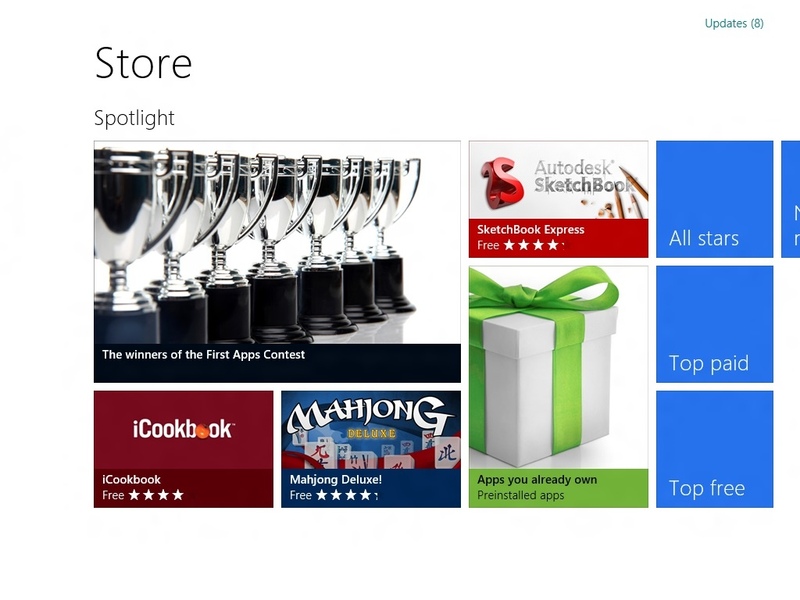 Store is accessed from the appropriate “tile” on the Metro interface. First thing I’d recommend is checking out what’s already installed. 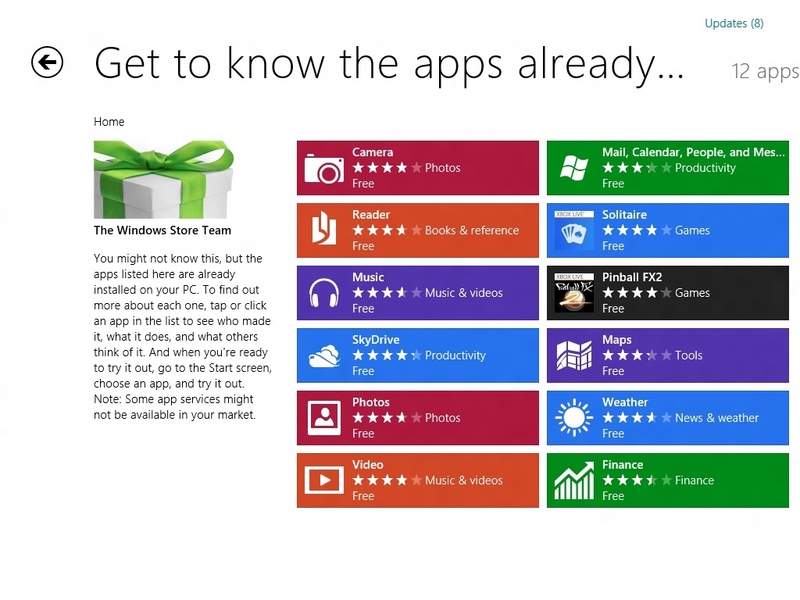 This can be done from the “Apps you already own” option in Store. Worth a look, if only to know how Microsoft feel about these items. Again you get the feeling this is a Mobile operating system with items such as Camera separate but mail, calendar etc. all bundled together. Then we can look at installing some new stuff. 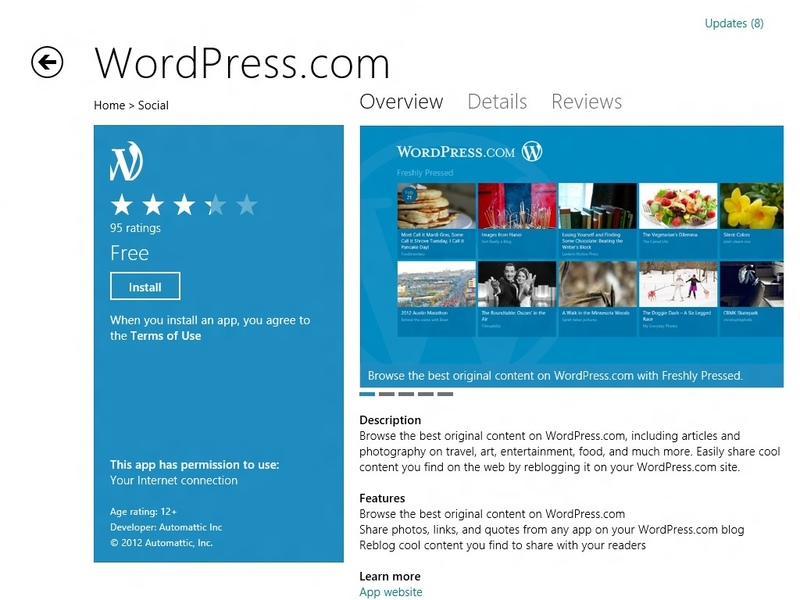 I had already heard on the grapevine that there was a WordPress app for Windows 8 so I searched for that. It wasn’t hard to find in the Store and the scrolling works the same way as in the rest of Metro, click and swipe. I’ll cover the app separately but simply clicking “Install” and you’re off. Oh, except if the email address you used to sign up to the Consumer Preview isn’t registered with the Microsoft Uber Machine Corporate then you’ll need to complete that process now, verifying the account email address and signing in. I found that Biological Piano wasted a few seconds too – if you want multi tone belching this is the app for you! Two standard applications that any operating system needs to be delivering well, as Apple have raised the pole on these and Microsoft went seriously down hill with Live Mail. Alas neither application is intuitive. These are easy enough and I guess that when Metro is entrenched I’ll wonder what the fuss was about but not yet. These are best experienced by having a fiddle. Yep, our old and trusted friend Windows Explorer. But wait, what’s that hiding on the Metro interface at the bottom of the first panel? In a world where some user still haven’t used Windows 7 and gotten used to that interface it is a little disconcerting to find that Microsoft are relegating this interface to a secondary, sort of “if you must” option. I only noticed this when I changed the background on the Desktop and the “tile” changed on Metro. But at least it’s there. 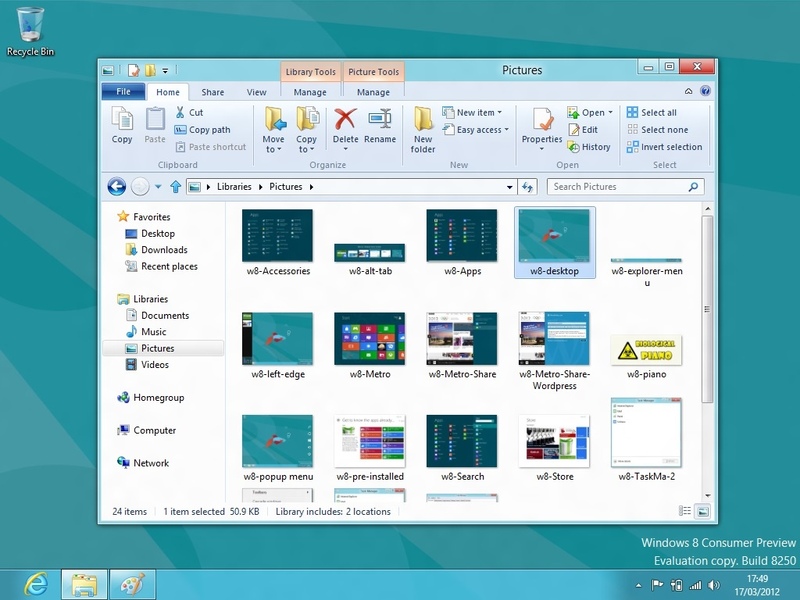 The difference between Windows Explorer and Desktop is subtle – the former is the File Explorer built into the latter. So now we can see our old friend, Mr. Fish again. Notice anything interesting? Eh? No “Windows” or “Start” menu? 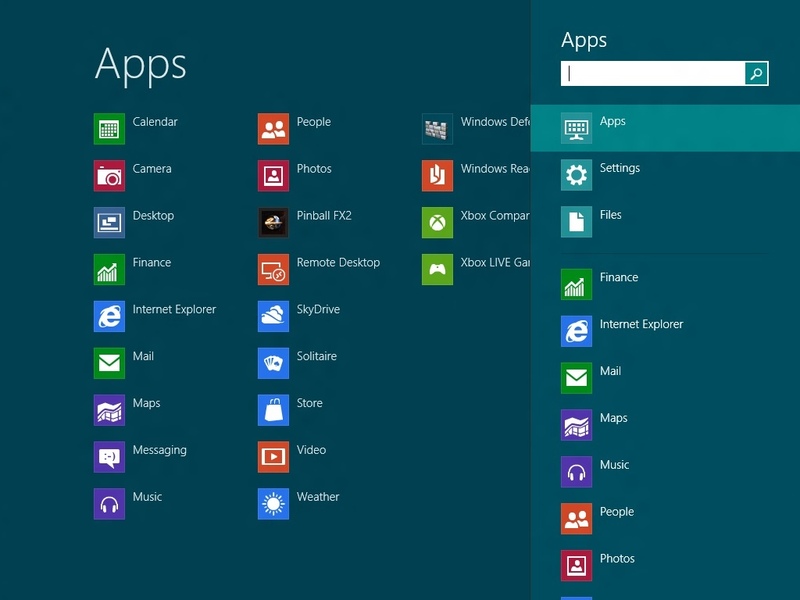 Ok, so Microsoft really, really don’t want this to be the default interface for users then! Yep, they have removed the Start Menu and all those nice links and tweaks we’ve all got used to over the years since 1995. Seventeen years after it first appeared it’s been disappeareded by Microsoft. The effect is actually quite acute. Suddenly I have no uber fast access to control panel, explorer, games menu, and so forth. Pinning isn’t too difficult, once you’ve got the app running at least, but this is a nasty “brrr” event in computing evolution in my opinion. Why take the Start Menu option away completely? I expect the vast majority of applications for some time to not be Metro capable and this is going to make life difficult. Indeed most “Windows Accessories” still require Windows Desktop to run, not Metro. If you find Paint (Metro, right click, click n’ drag left (or if it works move the mouse to the right) to Accessories, select Paint) it loads into Windows Desktop. I think I have it sussed, though. They have provided position-based shortcuts. I’ll refer to them as Left Hand Popup Menu and Right Hand Popup Menu for now. This is a way of navigating what’s currently running on the machine. Simply move the mouse cursor to the bottom left corner (yes, where the “Windows” or “Start” menu used to be) and a mini pane of the Metro interface appears. Click and you’re instantly back to Metro. If you slide the mouse UP the screen from the bottom left corner then along that edge pops up mini screens, thumbnails, of your running applications. Simply click a thumbnail to switch to that application. If you instead move the cursor to the top left corner then you get a quick menu of running application. As with the left, so with the right. This time though both corners bring up an edge menu containing some common tasks. Search, Share, Start, Devices and Settings. Share is a context sensitive menu option that really only works in Metro Apps. Start takes you back to metro (yep – yet another way). Devices looks at the external hardware plugged into the system. Settings is control panel, for all intent and purpose, though it has more to it than that. This where Microsoft have put almost all the power in the operating system. It gives you immediate access to the installed applications and accessories as if you’d right clicked on the Metro interface and selected All Apps. It allows you to search many content types on the machine too and many online. This is what I think that Microsoft aim to replace Start Menu with. For me it was difficult and cumbersome in the few days I have spent with the OS so far. The change to the Right Hand Popup is the weird thing, from what used to be the bottom left button. The idea that you have to Search for your application too. Just feels wrong. It works, but feels wrong. An interesting option this. With Metro enabled application this allows you to select items and [sic] share them. Publish them if you will. 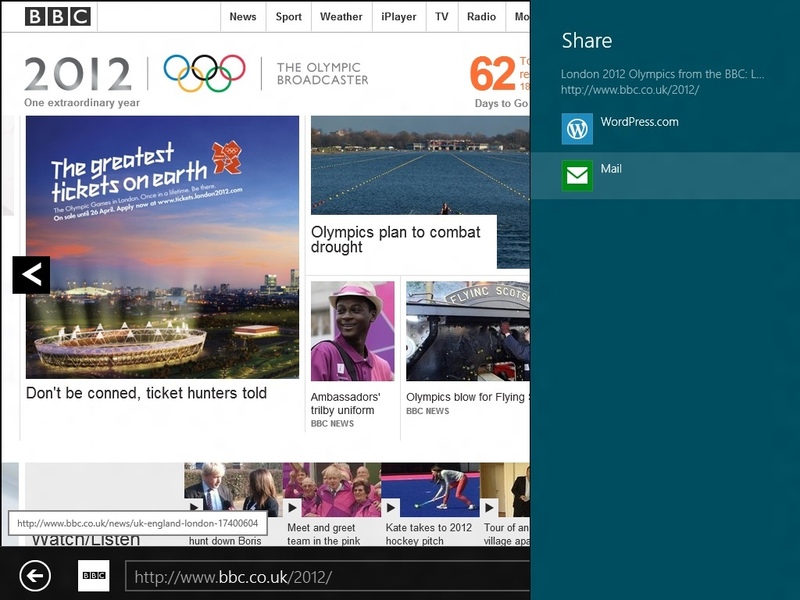 Another indication that Microsoft are aiming more towards mobility and social networking environments. I was able to get this working, as you can see, with the WordPress App. There is another annoying thing. That this feature only works in Metro enabled apps. So for me that was WordPress itself and the Metro version of Internet Explorer. Weirdly it did not seem to work in Windows Desktop at all, in any app. Okay, now some good news. 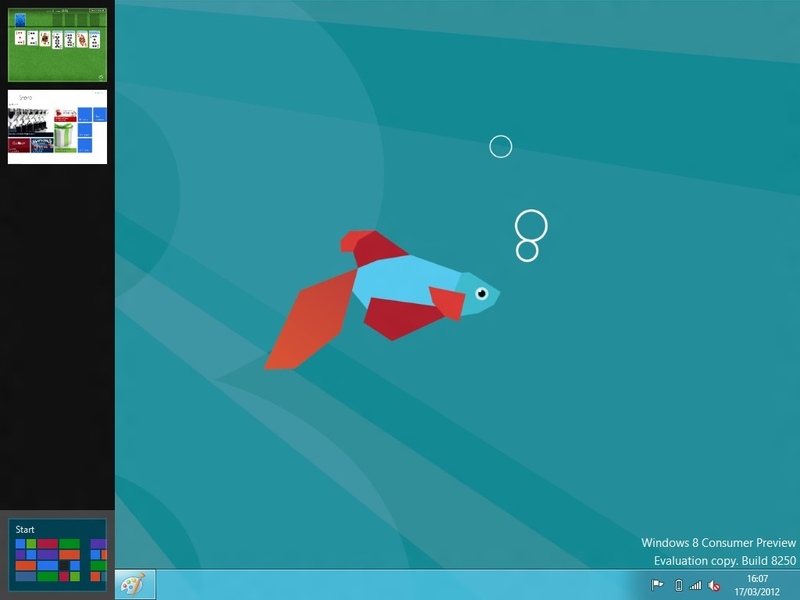 If you use the Desktop rather than Metro you can still use your quick key combinations associated with Windows. 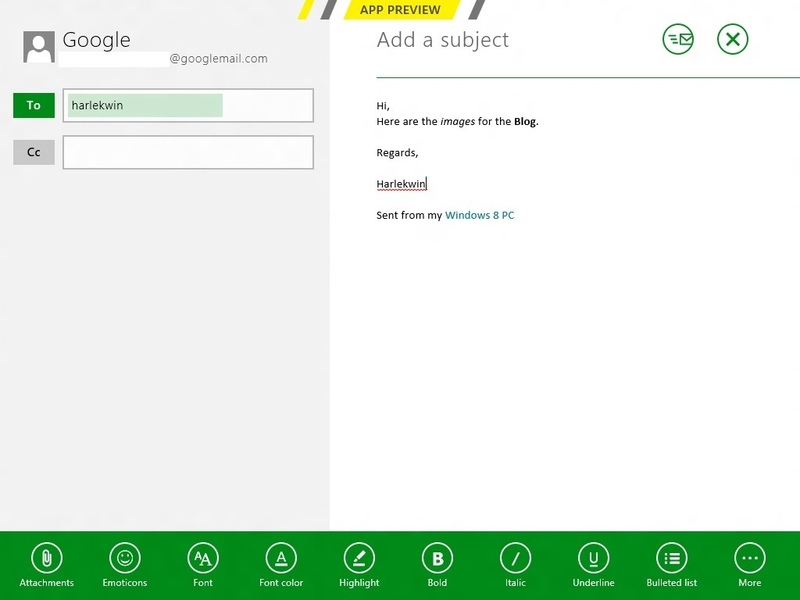 As before will bring up the centre-screen banner of running applications and allow you to switch between them quickly. Still allows you to bring up the Run… option. “mspaint” for example, or “calc”, or “charmap”, even “cmd”. That’s a lowercase “l” as in [lima]. I am sure a fair few such key combination shortcuts still work. I’m sure we’ll find out as we need them! Just going back to that confusion we had originally with Windows Desktop and Windows Explorer, I’d thought I’d end by showing you the explorer application itself. As you can see that lovely “ribbon” has appeared at the top. We all love the ribbon from Microsoft Office 2007 and 2010, don’t we? 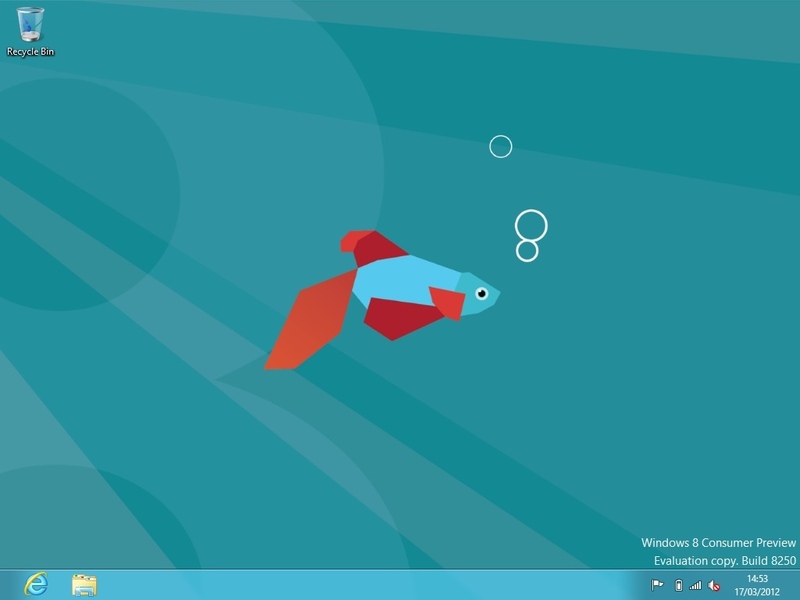 Surely we must, Microsoft have added it to everything in Windows Desktop in Windows 8. I must admit, I thought they’d do this in Windows 7 but they refrained in a lot of places they could have put it. Now they’ve filled the gaps, it would appear. Undecided. The system seems very, very fast but the Metro interface, lack of Start Menu (in desktop) and addition of the ribbon are big red marks against the system. As we have a little time to get used to the environment, it is ludicrously early to judge the operating system, I guess time will tell. 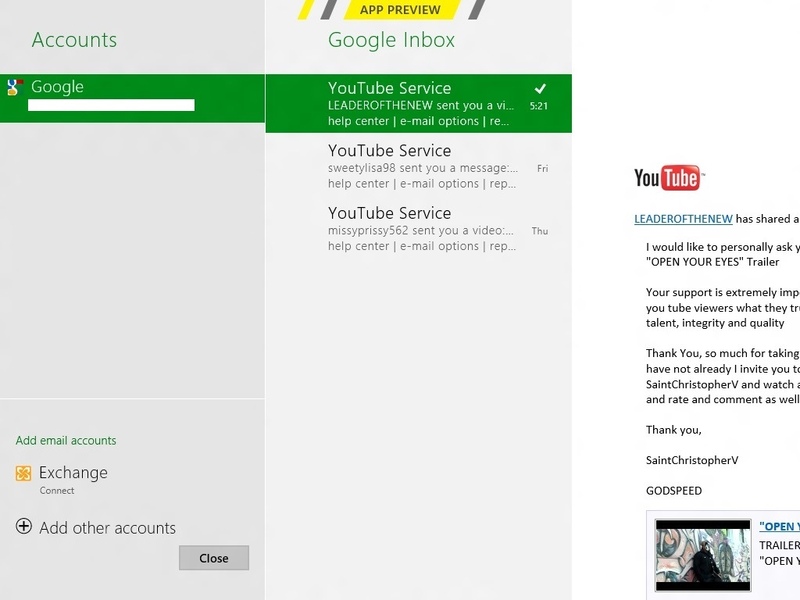 I think the evolution will be easier for the Xbox or Media Center users as it is very similar to those. 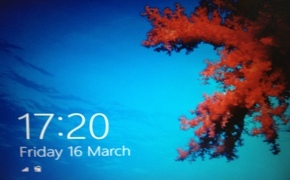 I really like Windows 7 and I am disappointed the evolution is targeted at a specific hardware specification – touch screens and gestures. My hope is that a bit more work will go into making the mouse/keyboard interaction more intuitive. What is pleasing is such an (apparently) complete preview of an up-coming OS. Apple would never do that. But we have a pretty, fishie. Should point out that the “Security” section of the “Store” has a “PC Protection” section. …not that you’ll find it that helpful right now.